To say that I change productivity apps as often as I change my underwear wouldn’t be too far from the truth. When I made the switch from a Blackberry to an IPhone in 2009, I realized that you can actually use your phone for much more than email and text. Immediately I started spending countless hours in the App Store scouring for the next big thing that would eliminate a desk full of stickies. After many attempts at simplifying my life and keeping my tasks under control I quickly reverted back to my old Blackberry trick. Come on you’ve all done it…. Yes, that’s right. You guessed it. Email your todo list to yourself every night for the next day!!! From there it gets even better. Print your To-Do list off and start scratching away. Not only is this 3 step process time consuming, you just don’t look like you have things under control (in life). I’ve been listening to a Podcast called Entrepreneur on Fire lately. The show host asks each guest at the end of the episode what their secret weapon is, like an Evernote. After listening to a few of these, I started to notice a common trend amongst these super smart and insanely productive people. They are all using Wunderlist. Screw it, I’m jumping on that bandwagon too! 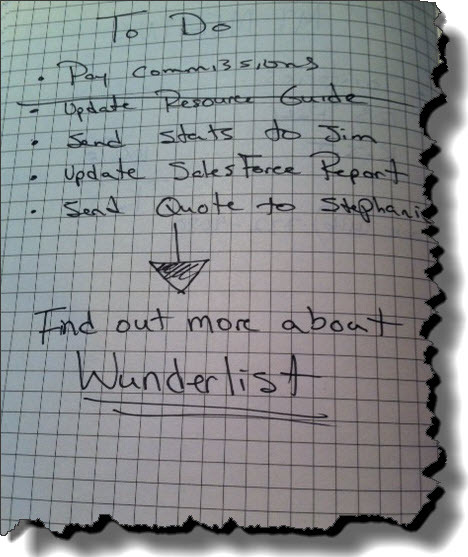 Wunderlist syncs your todo lists among multiple platforms. Basically it’s your “Git R Dun” tool (I promise I’ll never say that again). Allows you to update and edit lists on your Desktop, Smartphone, and Tablet. It’s so clean and simple that you almost don’t know what you are supposed to do when you first start using it. This is right off the website. 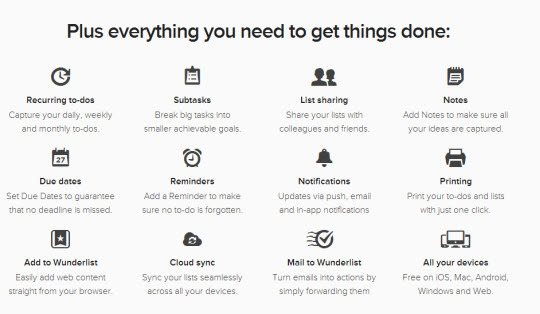 Unless a task is something that is important and has to get done, it won’t show up in my Wunderlist. I’m still using Outlook to manage my calendar. I don’t use if for every email and phone message I need to respond to, I’d like to think that my memory is still semi functional. It shouldn’t come as any surprise that I am “all in” when it comes to building a Personal Brand as a sales professional. Lately it seems there is finally a branding movement in the Automotive Retail world among retails sales guys and gals. The days of pressing your nose up against the showroom window and waiting for a “lay down” to pay your rent are over. If you are a 100% commission salesperson you are pretty much self-employed. Why wouldn’t you invest in, umm, I don’t know, how about YOU! A new generation of sales pros are entering the retail automotive space and they’re “Drinking The Veterans Milkshake” (don’t know what that means? Watch THIS VIDEO). Creating blogs, shooting videos, being active on Social Media, and turning your phone into a weapon is what separates the new kids on the block from the lot lizards of the past. 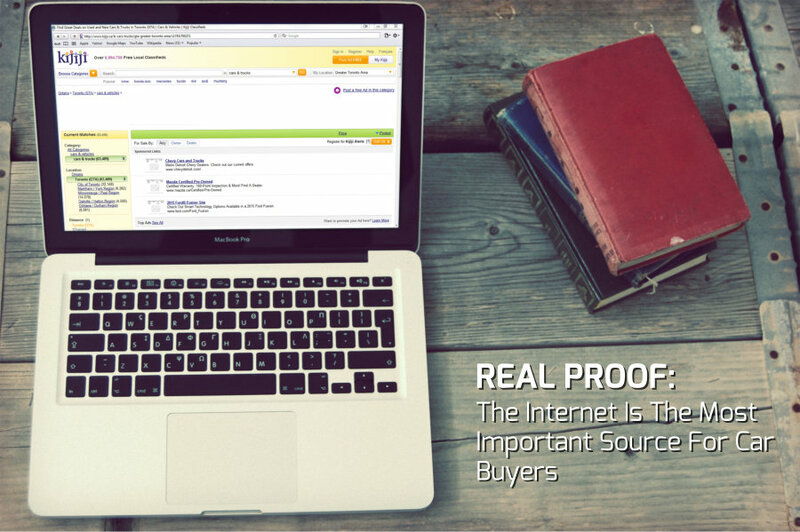 We know that the Internet is the most important source for car buyers. The question is “Are you there to answer their questions?”. This Personal Branding movement is not smoke and mirrors I promise. Heck this little blog your are reading right now has over 2500 Unique Monthly viewers and has allowed me to create relationships with Automotive Professionals all over the world. But…. it’s hard frigging work. Okay… back to the post. One of my favorite things to do when talking through city streets of Toronto, is to listen to Podcasts. I have around 20 that I subscribe to and think I have band with for a few more. Automotive Success puts out a pretty good weekly 10 minute segment, that interviews sales pros and vendors from around America. I had heard a few episodes with Robert Wiesman, and he really caught my attention. Maybe it’s his enthusiasm, or his “cool guy” voice that won me over. Either way, this cat stood out from the hundreds of interviews I’ve sat through over the past couple of years. Car buyers are spending less time online shopping for a car than they did 2 years ago according to a study conducted by Autotrader.com and Polk. The original study was conducted in 2011 and stated that new car shoppers were spending 19 hours shopping for a car vs 13.75 hours this year. Is the Internet not all it’s cracked up to be? The answer is quite the opposite. 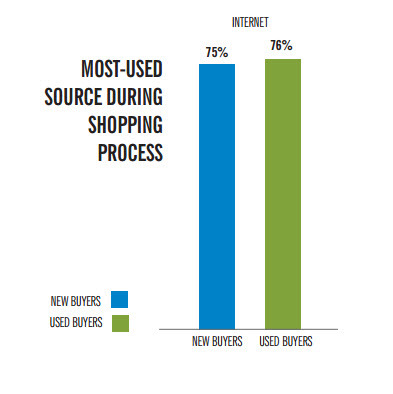 I’m going to highlight some of my findings from the study that confirm a lot of the things I’ve been talking about to dealers across Canada (this study is based on U.S. data but I can’t imagine Canadians shop any different). Quotes and Charts in this post have been pulled directly from the 2013 Automotive Buyer Influence Study. 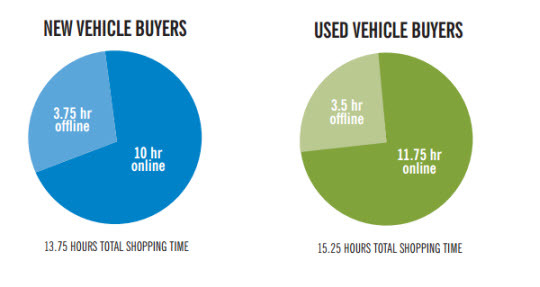 So why are we spending less time online during the car shopping process? My guess is that websites have become more efficient over the last 2 years, which has made it easier for car buyers to find the information they are looking for. Don’t forget Mobile. All of those Ipads, Iphones, and Androids that we are so addicted to have made it extremely easy to get online and consume all of the above content. This would play apart in the decrease on time spent online. The Internet is huge and it’s basically the sole resource for buying a new or used car in 2013. Okay this is getting serious now! It’s official the Internet is not a fad. It amazes me that not all car dealers are aligning their online advertising spend according to what is actually happening out there in the real world. With stats and data like this, how can dealers spend MORE on traditional media (print, radio, T.V.) than the Internet? You are doing all of this right? I know, I know, it sounds super complicated and only possible for all those Marketing Gurus right?. 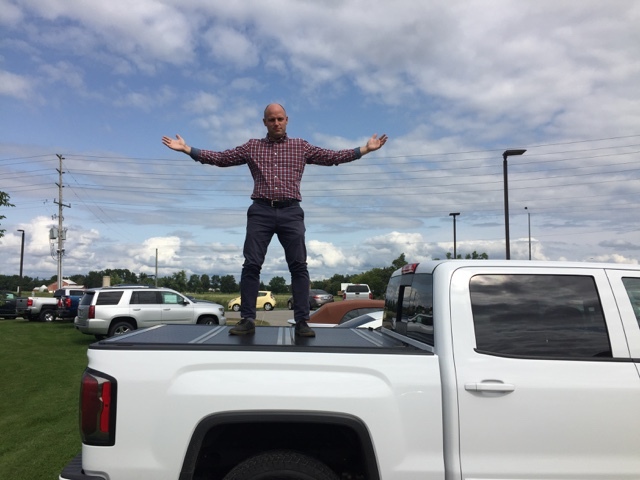 After watching this Webinar with Nicholas and Kevin (Convertus) I’m confident that dealers can take some of these best practices and implement them at the dealership immediately. Please find some of the tools Kevin and Nicholas use daily below. 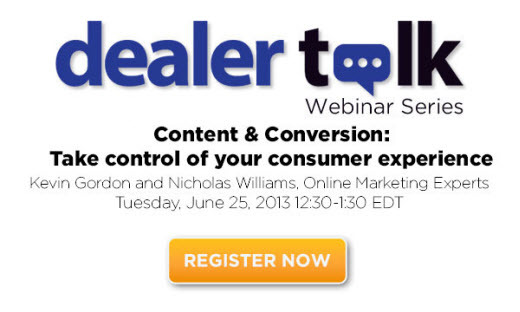 I’m extremely excited to announce our June DealerTalk guest’s for Canada’s #1 source for car dealer webinars. 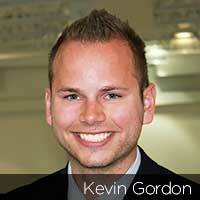 Kevin Gordon is one of the sharpest Canadian markeitng pros I have met in my travels. Kevin and his partner in crime Nicholas Williams, are going to take us through a journey of some Advanced Dealer Marketing Strategies! This webinar will help you gain insights on how to effectively use content marketing in creating favorable online customer experiences, improving your business’ search results and in turn brand visibility, in addition to significantly increasing onsite conversion rates. 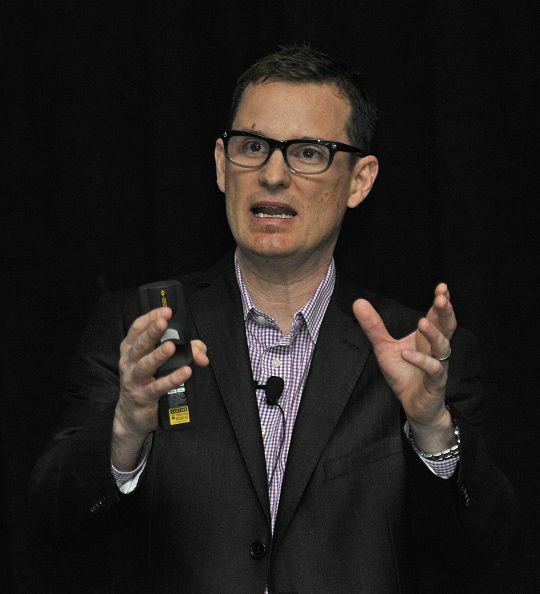 Kevin Gordon, Managing Partner of Convertus, an online solutions provider for the automotive industry, is an international speaker and digital marketing expert. 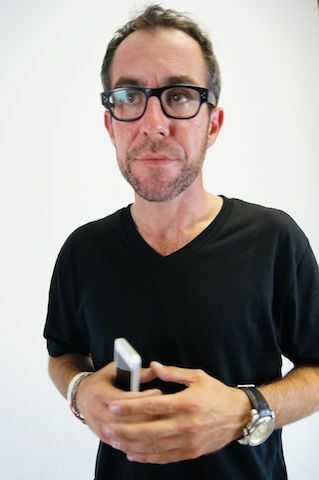 Kevin’s experience includes dealer education and training, vendor relationship management, website content creation and online reputation management. Among his projects prior to creating Convertus was the development of over 35 websites for the Jim Pattison Auto Group across its 22 locations, which resulted in doubling organic visitors and leads generated in two years. Nicholas Williams is an entrepreneur, international speaker and an expert in operations and digital marketing. Nicholas has a degree in commerce with a concentration in entrepreneurship and international business. He has vast expertise in operational efficiencies, leadership and customer experience. His work experience ranges from his role as Operating Partner of a successful vehicle importation company to being the Director of Marketing of an international manufacturing firm, where he repeatedly lead the organizations to the digital success.